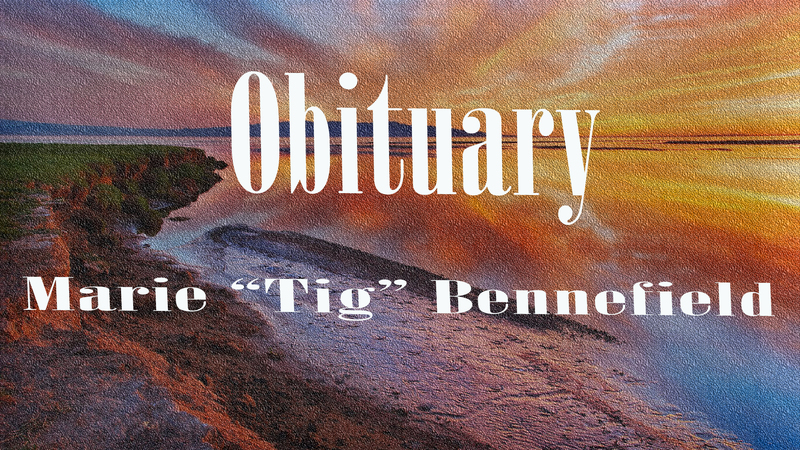 Funeral service for Marie “Tig” Bennefield, 92, of Hanceville will be held 2 p.m. Friday, January 4, 2019 at the Hanceville Funeral Home chapel, Reverend Johnny Bennefield officiating. Interment will follow at Hopewell Cemetery. Her family will receive friends at the funeral home Thursday evening beginning at 6 p.m.
She is survived by children; Ricky (Karen) Bennefield, Randall (Gina) Bennefield, Rodney (Jamie) Bennefield, Linda (James Baker, Betty Duncan and Debbie (Randy) Leopard. She has 29 grandchildren, 59 great grandchildren and 9 great-great grandchildren and a brother, Estele Johnson. Preceding her in death were her parents, Hurl and Alma Johnson. Her husband, W.C. Bennefield; sons, Ron, Robin, Randy and Kenneth and daughter, Barbara.